It's February and here at From the Shadows we are celebrating with fab guest authors, reviews, and giveaways! A few titles on my TBR pile this month are Love Is Hell , Night of the Loving Dead , A Love Story Starring My Dead Best Friend , Dracula In Love , Jekel Loves Hyde , and Soul in Love . Don't miss the Bloody Valentine Giveaway ending 2/14 or the chance to receive a signed Spirit Guide Series Valentine's Day Card from E.J. (while supplies last). 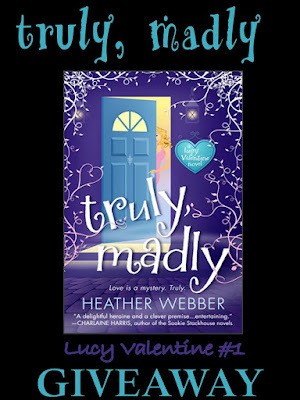 Enter to win a copy of Truly, Madly (Lucy Valentine, #1) by Heather Webber. To enter, please leave a comment on this post including your email address (so we may contact you if you win). 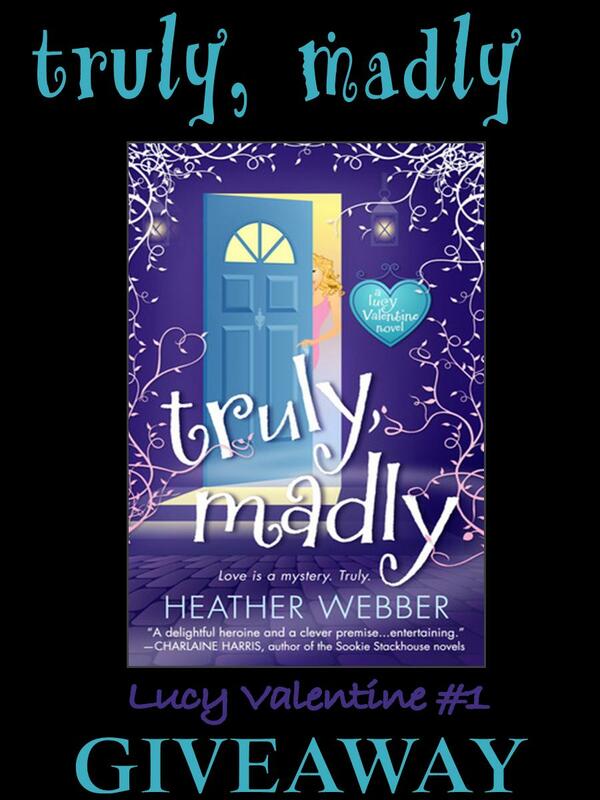 This giveaway is international (to anywhere The Book Depository ships)! Giveaway ends February 28th midnight EST. This would be a good book to bring on a spring vacation. From the many reviews it has had on Amazon, it must be a good one. I'm a Goodreads friend of E.J.'s. GFC - Google Friend Connect? Yep, I'm listed. A very nive giveaway and thanks for making opening it to worldwide entries again ! Weee, another international contest! Thanks! Thanks for the great giveaway and for making it international!!! This has received great reviews. I would love to win it! I would love to receive a copy of the book. I love the story and the author. Sounds like a good book. Thanks for the contest. This is a great read!! Thanks! I love matchmaker books. My husand and I were paired up by matchmaker unbeknownth to us!!! nice thanks for the giveaway! It sounds like a fun book to read. Thanks for giving me a chance to win this book. Can't wait to see what happens with this one. Sounds like it's right up my alley! See ya back on Goodreads hun!! Another great giveaway. :D Thank you! This is something I truly want to read! Thanks for another incredible giveaway! Sounds like an interesting boo. Thanks for the giveaway!This sound really good! Thank you so much for hosting this giveaway! I wish everyone luck...can't wait to read this book! I am all of these! Sounds great. Not read one of your books yet, would love to win so it would be my first one. Sounds great. Please count me in. Thanks! Thanks for the giveaway (and the opportunity)! Thanks for hosting another graet international contest! Would love to read this book!